We offer 128 oz. / 1 gallon round glass jugs with a handle in both amber ( our item # OBA13273A4) and flint/clear (our item# OBC08172F4). They are sold in full case quantities of 4. Both take a 38400 mm size cap. Caps are sold separately and are available in both plastic and metal depending on your particular need. Some customers use phenolic black cone caps, while others prefer a metal screw cap. The amber glass bottle is suitable for liquid storage which needs protection from the light. 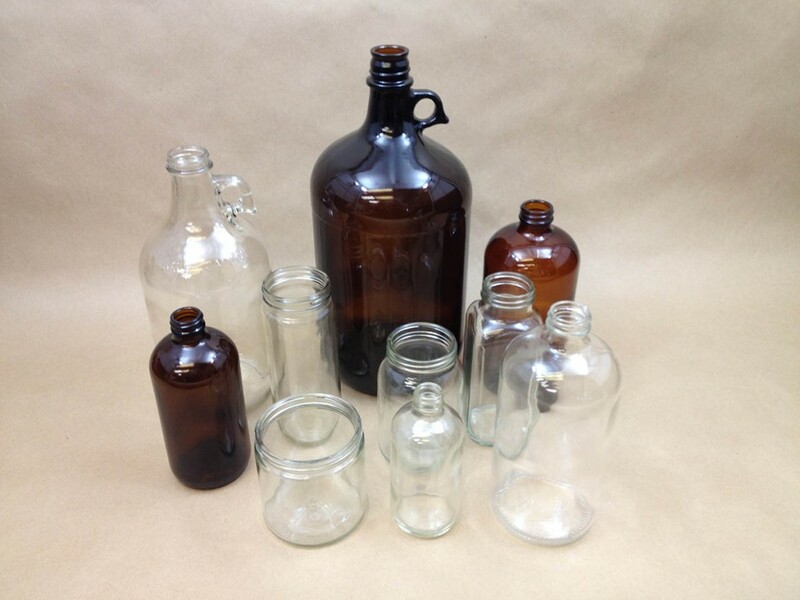 These large capacity glass jugs are ideal for fermenting/storing beer, wine , apple cider, juices etc.